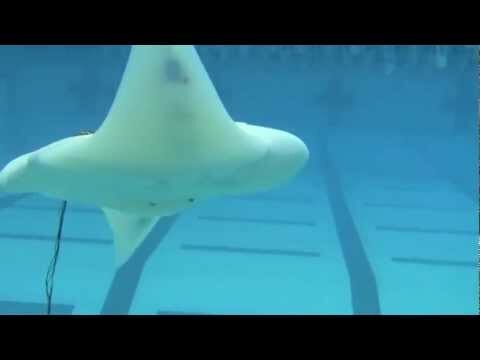 Bart-Smith's lab built the robot to mimic the nearly silent flaps of a ray's wing-like fins as it swims or glides through the water. They first began by studying living rays in the ocean and in the lab, as well as dissecting dead specimens to understand how nature engineered their bodies. Such rays can accelerate or hold position while using relatively little energy — an inspiration for making underwater drones that can stay at sea for long periods, without refueling or recharging.